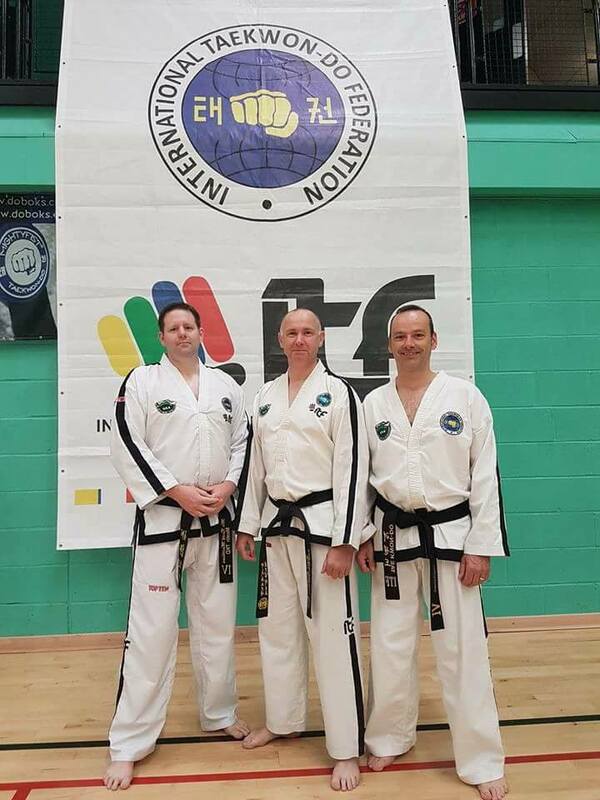 Three INTA instructors (Nigel Stobie, Dave Elson and Keith Matthews) traveled to Manchester for the 120th IIC delivered by the ITF Technical Committee. 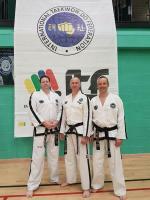 The course was presented by Grand Masters Hector Marano and Kim Ung Lan and Master Pierre Laguerre. 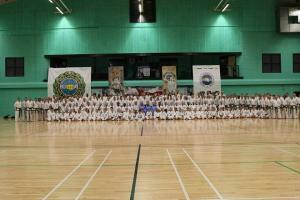 Present also was Grand Master Orello Ellis from England. 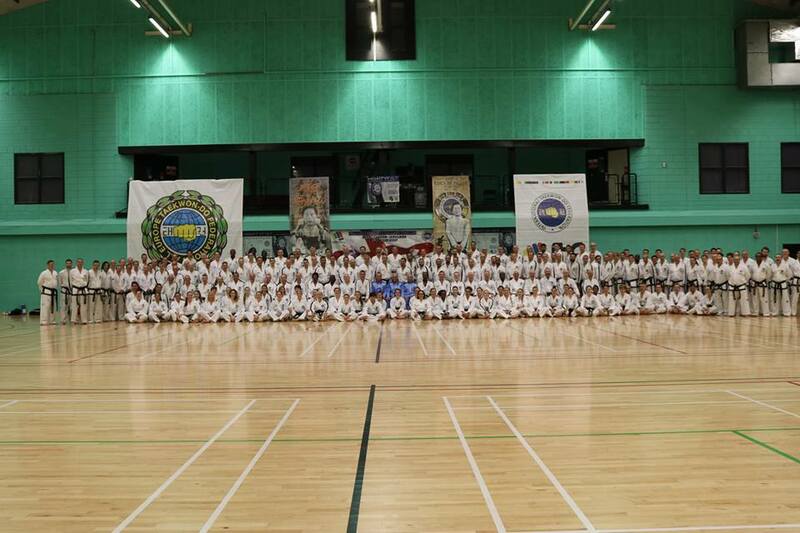 208 Blackbelts, including 15 Masters lined out in the Armitage Sports Centre, in Fallowfield! After the opening ceremony and presentations Master Laguerre got us warmed up with various cardio exercise and dynamic stretching. We worked the entire body starting with the legs, mid sections and upper body. The squats (including piston squats) took their toll and there were plenty of grunts and groans! Over the course of the weekend we covered all the patterns in detail, movement by movement. 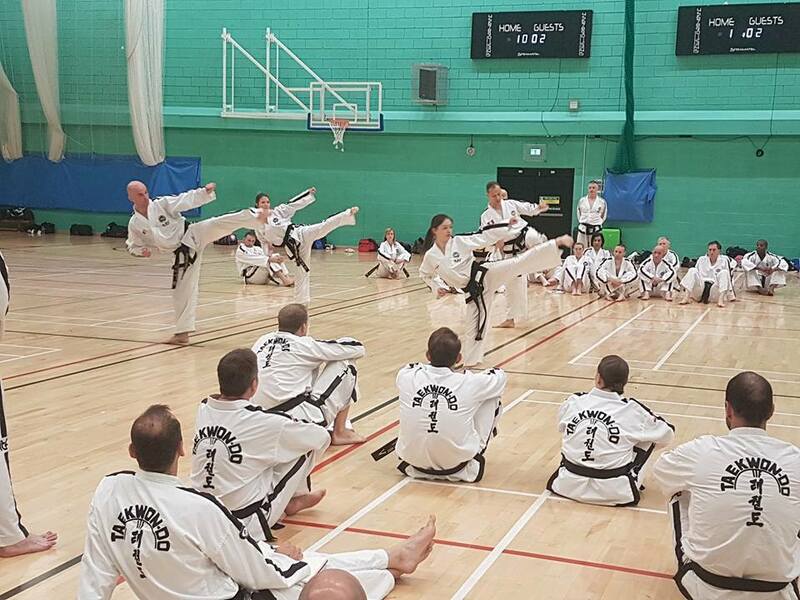 Instructors were able to ask various questions of the Grand Masters and similarly we were challenged many times by the Grand Masters on technical aspects of the patterns. 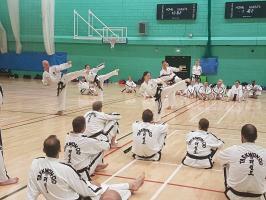 GM Lan took the group through Step Sparring (3, 2, 1 step) self defence (release from grabs and holds). 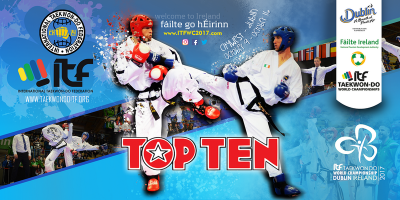 He also focussed on counter techniques to Yopcha Jirugi and Dollyo Chagi when free sparring. 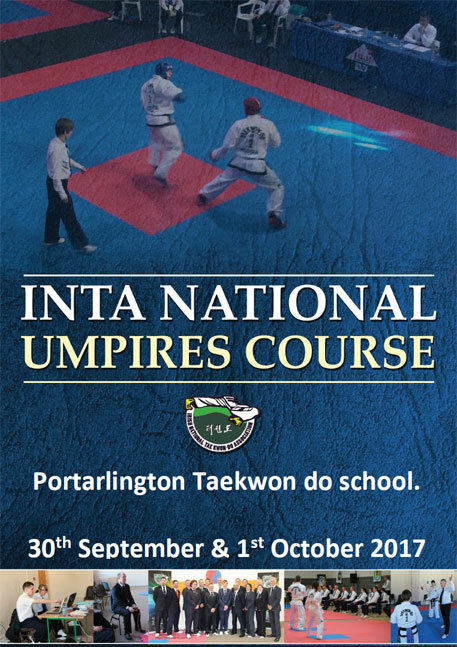 Overall it was a great weekend of Teakwon-do, and great to meet up and train with many other Irish instructors and Masters. Looking forward to the IIC that the INTA are hosting in 2018 in Co. Meath!